D. Cooper, Les Déjeuners, New York, 1963, no. 86 (illustrated). 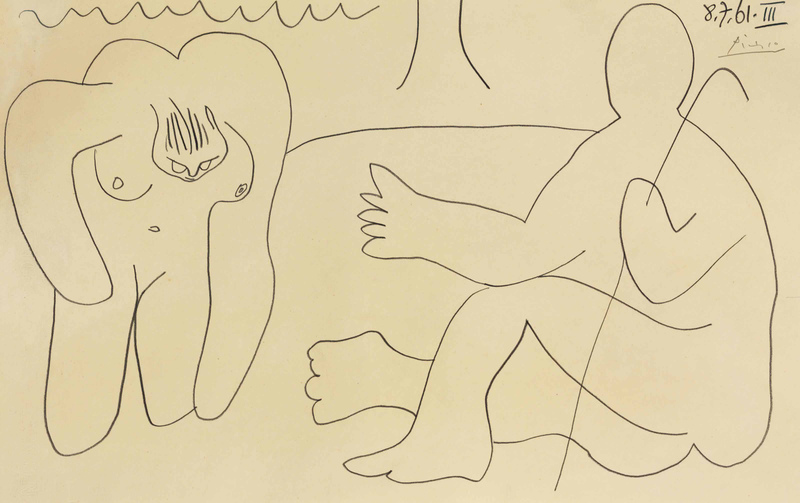 C. Zervos, Pablo Picasso, Paris, 1968, vol. 20, no. 64 (illustrated, pl. 34). The Picasso Project, ed., Picasso's Paintings, Watercolors, Drawings and Sculpture, The Sixties I 1960-1963, San Francisco, 2002, p. 152, no. 61-129 (illustrated). Basel, Galerie Beyeler, Picasso, Werke von 1932-1965, February-April 1967, no. 43 (illustrated). Kunstmuseum Winterthur; Basel, Galerie Beyeler and Cologne, Wallraf-Richartz-Museum, Picasso, 90 Zeichnungen und farbige Arbeiten, October 1971-February 1972, p. 78, no. 46 (illustrated in color).